This blog discusses key gender-related factors affecting health workers’ training opportunities and career progression in Zimbabwe. Although there is increasing attention to the role of gender in health systems, there is limited empirical evidence on how human resources for health are influenced by gender. Gender in human resources policy and planning is neglected in many contexts, especially in developing countries, and many approaches that are used lack systematic attention to gender issues. Gender affects occupational choices, career patterns and working practices. While attention has been placed on employment patterns and pay, gender imbalances in posting and deployment, particularly the structural and geographic location of men and women, have received little attention. This mixed methods study sought to assess how gender roles and relations shape the posting, deployment, access to training and career progressions of health workers in rural Zimbabwe. Methods included a policy and document review; qualitative life/career posting histories (N=19), key informant interviews (N=11) with human resource managers at different levels, and questionnaires (N=140) administered to older health workers. Quantitative data was analysed with summary statistics and qualitative data was analysed using the framework approach. Some of the key findings are outlined below. Participants in our study reported that the health sector is largely feminised, with women accounting for the majority of health care workers, and that there are gender imbalances within the different professions in Zimbabwe. Health workers felt that the imbalance stems from the careers men and women tended to purse and the recruitment processes for training which affect this. For example, men and women tended to pursue different career paths after joining the health sector. Participants noted that females generally opted for careers in midwifery and theatre nursing, while men opted for environmental health and psychiatric nursing. A career in midwifery was more preferred for women because of opportunities for promotion associated with the profession, such as Sister-in-Charge, matron for Maternal and Child Health MCH departments. According to respondents, female health workers tended to shun psychiatric nursing because it required them to have the strength to restrain patients, and environmental health because it involved riding motor bikes in rough terrains. The results also show that females were opting for anaesthesia because of opportunities for locum with private doctors, hence more income earning opportunities. Interestingly, some HR managers noted that there was an increase in males entering into midwifery motivated by donor funding of incentives for Maternal and Child Health programmes (Health Transition Fund, Results Based Financing). According to the regulations, access to training is based on both seniority and years in service. This is similar to what the health workers reported. Both health workers and HR managers were of the perception that the system afforded equal opportunities for both men and women. However, barriers to training access and career development were found to be shaped by gender roles and norms at the household and institutional level. Men, for example, tended to be ‘impatient’ with the system and opted for self-funded training courses. In contrast, most women waited their turn to take up training opportunities, and when these opportunities arose, they were sometimes unable to take them up due to gendered family responsibilities. Types of post basic courses attained are outlined in the figure below. In terms of relocation for career development or new opportunities, a clear pattern emerged of wives following husbands who may be working in different sectors, such as education. This meant that 67% of males who were transferred stayed close to their families. Some female health workers reported that they had to resign from their jobs to seek new ones, sometimes in a different sector, therefore sacrificing the accruing of years of service required to access training and the opportunities for promotion. This affected their career levels; many reported re-joining the health sector in junior/lower posts, therefore loss of pay/accepting lower pay, delaying their time for promotion and upgrading and or upskilling etc. Both male and female health workers indicated that they were separated from their families as a result of the postings. The effects of separation from families were discussed and multi-faceted and include: an increase in household expenditures particularly transport; maintaining two homes; and separation of siblings, such as when younger children stayed with the mother and older children with the father. The effects of deployment on men and women are outlined in the figure below. In addition to the above, there was a preference of HR managers to deploy men in the most remote rural areas, which presents conditions of inequity as the men attain needed experience and advance their careers much faster than women. 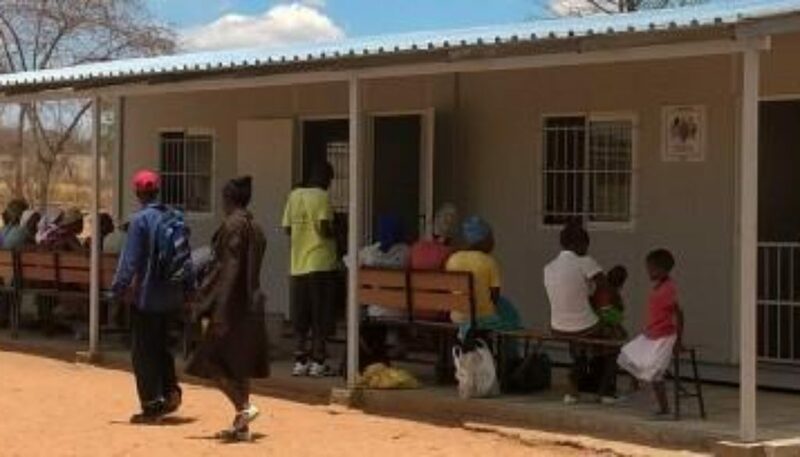 This is because the men deployed in the most remote rural areas obtained lots of exposure on the job, which they would not obtain if they were working at central hospitals because some of the tasks that they perform at those locations would be carried out by more senior health workers. Although the health sector is largely female dominated, posting and deployment policies and practices at different levels of the health system and across professions, create conditions for gender inequities associated with delayed access to training and promotion opportunities. The findings depict how men and women are affected differently by the existing posting and deployment policies and practices in terms of their access to training, promotion and career development opportunities in Zimbabwe. Men faced fewer barriers compared to women; however, the systems were not responsive to the inequities. These findings present an opportunity for policy reform in the implementation of equal employment opportunities policies from a gender perspective as the country moves from one of the worst economic crises to a more stable one. This study concludes that women’s career progression is shaped by both the posting and deployment systems and their family roles and responsibilities.